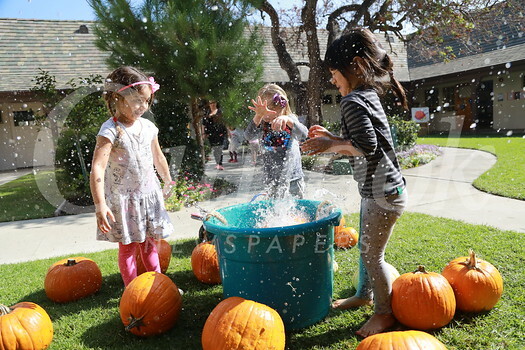 Students at the San Marino Community Church Nursery School recently enjoyed the annual pumpkin patch in the children’s courtyard. Teachers set up discovery stations, where children could weigh, measure and scoop out pumpkins, and push pumpkins in wheelbarrows. At the art station, children drew and painted pictures of pumpkins, and at the sink or float station, children discovered the buoyancy properties of these gourds.